The plot of Shattered Dimensions was written by Dan Slott, whose Spider-Man/Human Torch mini-series was fantastic. Unfortunately, the plot of this game is pretty thin. Mysterio tried to steal a magical artifact known as “The Tablet of Order and Chaos,” which is pretty generic as MacGuffins go. He and Spider-Man fight, the table fractures and dissipated into four different realities, where super villains of course find the fragments and gain crazy new super powers because of it. Meh. Besides the world of 616 (aka Marvel’s main universe), you get to visit the Ultimate Spider-Man universe (making this the first time Ultimate Spider and Amazing Spidey have ever met), the 2099 universe and the Spider-Man: Noir universe, which I can’t really comment on as I’ve never read it. Each character gets three stages complete with super villains to fight and then there’s a final level where all four take out Mysterio one at a time. Unfortunately, all of the worlds are pretty lacking in story save for “chase the villain” and “save the normal people from certain doom” bits. There’s no real characterization save for oddly enough the Spider-Man 2099 bits which actually gives the bad guys some personality and depth. I say this is odd because two of the three villains were made especially for the game instead of using Miguel O’Hara’s actual rogue’s galley and Miguel was written/talks like Peter Parker rather than the actual character himself. As such, this will disappoint most fans of the 2099 universe except for the stage with Scorpion 2099, which is definitely the best chapter in the game story and characterization wise. The second best stage plot wise again comes from 2099 with the utterly mad Doctor Octopus 2099. I have to wonder if Doc Ock 2099 is related to the first female Doc Ock from “The Clone Saga” era. I wasn’t at all happy with the 616 plots. Kraven is best dead (“Kraven’s Last Hunt” is my favorite Peter Parker story ever), and Sandman and Juggernaut are characters that reformed and so I hate seeing them being dragged back down to unrepentant super villains. Ultimate Spider-Man’s stages were fun – especially since he had Deadpool as a boss, but Electro was just dull and Carnage was a fun boss, but there was no real plot to his stage. 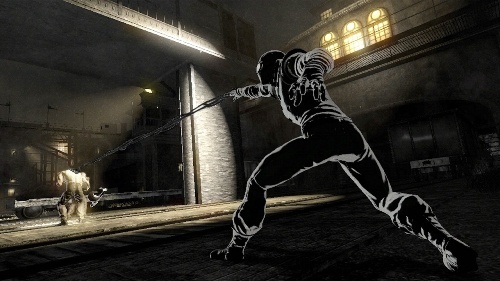 Spider-Man Noir’s stages really didn’t have any plot save “Let’s rip off Batman: Arkham Asylum“. Overall it’s a bit weird to say the main Marvel Universe’s Spidey was the weakest of the four storywise, and I was happy to see Spider-Man 2099 has the best stages in terms of plot. Even though the game’s story is pretty paper-thin and it relies on a lot of Macguffins such as Infinity Gauntlet level tablet or Madame Web having the ability to give all four Spider-Man new powers, it was still fun for what it was. Also, I loved seeing Spider-Ham get two cameos in the game. I just wish we could have played as him! Where’s my DLC Ducktor Doom stage??? Okay, if it’s 2010 and your game is plagued by slowdown regularly, than you have a problem. SM:SD definitely has its share of slowdown and graphical glitches, and some of them kill the game entirely, such as falling through the floor of the final Carnage boss battle and not being able to finish the game since either you or Carnage are embedded in the floor itself and can’t get back out save for restarting. A similar graphical glitch happens in the ASM bits of the Mysterio battle where if you are web swinging you can just kind of disappear from the game or somehow end up beneath the actual Mysterio-world graphics without being able to get back up. These are just a few of the graphical examples that plague the PS3 version of this game (I can’t comment on the 360 version), but they are nothing compared to the many issues with the playing of the game or the engine itself. The actual LOOK of the graphics are very nice. Both the Ultimate and Amazing Spider-Man worlds have a lot of cell shading to them, which not only makes the game feel more like a cartoon/comic book, but also reminds one of when cell shading was the rage of the early 00s. The Noir stages have a mix of Sin City and Batman: Arkham Asylum feel to them. 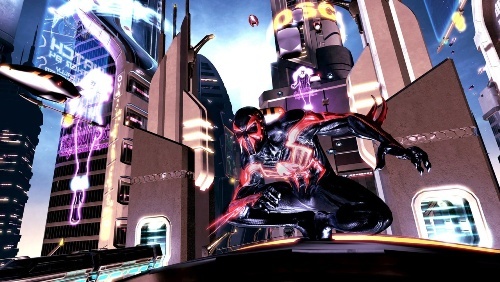 The Spider-Man 2099 stages are ripped straight from the first few issues of that comic in terms of backgrounds, vehicle designs and the like. It’s both very colourful and dark at the same time, and has a Neuromancer or Shadowrun feel to it. Character designs are excellent. Everything looks great, even the new characters designed specifically for the game like Hobgoblin 2099 and the Noir version of Hammerhead. This is a very pretty game to be sure, and it’s impressive to see all the different visuals styles contained within the title. 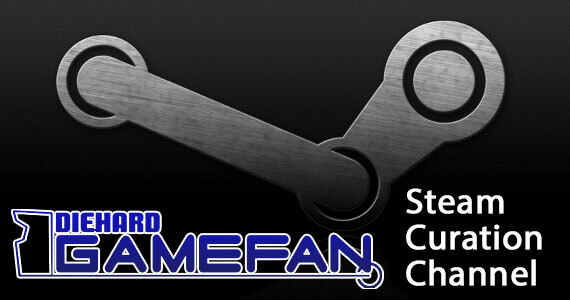 However the glitches and slowdown lead to a slight lowering of the score in this category. This is by far the best aspect of Shattered Dimension . It’s easily the best voice acted Spider-Man game ever and there is a nod and a wink to nearly every Spider-Man continuity ever here. For example I was ecstatic that Dan Gilvezan played Miguel O’Hara as he is my favorite Spider-Man ever, going back to the early 80s cartoon, Spider-Man and His Amazing Friends cartoon. He was also Bumblebee in the original Transformers cartoon. So my favorite version of Spider-Man teamed with my favorite Spider-Man voice actor? This was a dream come true for me akin to every time Kevin Conroy voices Batman. 616’s Spidey is done by Neil Patrick Harris, Who voiced Spider-Man in the MTV animated series in 1997. Considering what Peter Parker is like post “One More Day,” Barney Stinson is an apt choice for him. Christopher Daniel Barnes, who played Spidey is the exceptional popular TV series from early 1990s plays the Noir Spider-Man and Josh Keaton from The Spectacular Spider-Man series voices Ultimate Spider-Man. Josh and NPH probably should have been reversed since NPHs tv series was based on Ultimate Spider-Man, but hey – it’s an amazing cast all around of top notch Spider-Men. The music of the game may not be up to the level of the voice acting cast, Jim Dooley did a fine job with the score. The music fades into the background nicely and each track fits its respective universe perfectly. The only down side I can say about the audio in the game is that there is way too much repetition amongst the few lines in the game and some characters say the same line two of three times right after they spoke it. I’m looking at you Madame Web. Shut up already! So there’s a nice orchestral score and one of the best casting jobs for a Marvel video game ever. This is truly the high point of the game and it reminds me just how much I’ve missed some of these guys voicing the wall crawler. Come on Marvel/Disney, when are we getting Amazing Friends on DVD? So far, I’ve been exceedingly positive about Shattered Dimensions, so you’re all probably scratching your head about why I said I hated playing this in the prologue. Well, that’s just it – it’s the PLAYING of the game I hated. This is one of the buggiest and most glitch filled games I’ve played on a current generation console save for Fallout 3, but at least Fallout 3 didn’t have the horrible control issues that plagued this game as well. Let’s start with the glitches. The many, many glitches. First of all, this game freezes up regularly, forcing you to restart your PS3 and lose progress since the game only auto-saves at certain points. I had my game freeze in the USM Carnage level in a regular battle, the SM2099 Doc Ock level after the third reactor, there are three different game killing bugs in the final level of the game (Only Ultimate Spidey seems to be safe) as Noir can get stuck in a constantly falling and saving himself loop, Amazing Spidey can get lost in a graphical glitch and the 2099 bug is all too well known at this point for me to rehash. Expect your PS3 version of this game to crash a few times while playing it, and I personally can’t believe a game with this many bugs that cause the game to freeze up was released. It’s bad. 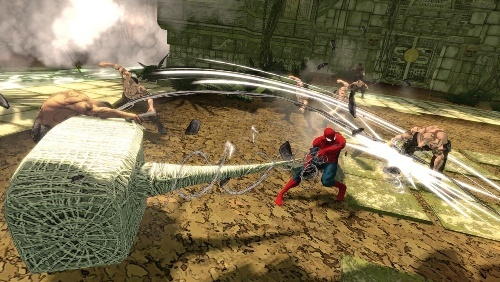 Other glitches include knocked out characters being stuck in a wall so they don’t “die,”, enemies being able to detect or hit you through a wall even though that area in the game hasn’t opened up yet, enemies being able to see Spider-Man Noir in the shadows even from across the game zone in an area you are nowhere near, and events not triggering that allow the next scene or area to open up, forcing you to restart your game. Again, this is bad and pretty unacceptable. Then there’s the camera angles. Wow, the camera in Shattered Dimensions is one of the worst I’ve ever seen. During fixed camera scenes, the camera is often in a place where you can’t see anything (having to outrun the Hellicarrier as it falls, for example), but most of the time the camera is out of place and it’s odd placement is probably the #1 cause of death in the game. Trust me, the enemies on hard have nothing on the horrible camera in the game in terms of getting you killed. The worst is when you are trying to climb on walls or on the ceiling. I’ve had the camera spin in a circle while trying to wall/ceiling climb and trying to right it is almost impossible. You just have to do your best to maneuver, swearing the entire time. Finally there are the controls. There are three huge issues with the controls. The first is aiming. Aiming is all but impossible. Part of this is because there is no lock on button, but the other part is because some buttons have more than one function and the game just arbitrarily decides which one you will use. For example, picking up an item with your webbing so you can throw it is tapping the circle button. This is the exact same motion for grabbing an opponent, for doing a takedown attack in Noir levels or for a distance webstrike attack that flings you towards your opponents. Without exaggeration, there were over a hundred times where I went to pick up an item and instead of doing so, my character flung itself at an opponent instead. Same with Noir where I went for a closeup takedown, and instead my character tried to grab him even though the red circle around my opponent was there, indicated I could do a takedown. This lead to an alarm sounding instead of me getting my takedown and I had to run like hell because the game won’t let you beat up a takedown victim normally. This same issue happens if you want to web-strike one opponent and instead the game chooses that you will attack a different one, or your item will be flung at a different target from the one that was highlighted. This is frustrating, annoying and a horrible design choice all wrapped up into one awful package. Other similar issues occur with other moves that involve the same button pressing or a combination of button presses, so eventually the game boils down to a mixture of button mashing and hoping the game does what you are trying for rather than what it decides it wants to do instead. The same aiming problem happens with webslinging. If you want to attach to a ledge, cliff, building or the like, there is often a little yellow symbol letting you know you can do so. I can’t tell you how many times I would aim for said yellow box and my character would instead latch on to something else, be it in a different direction or overshooting it for a farther away target that wasn’t highlighted. In the Noir levels, once again…this means certain death. Sometimes my character would even catapult himself into water, which for some reason is instant death in this game. Web-zipping got annoying fast due to how inaccurate it was and at certain points it definitely hurts you more than it helps you. Finally there is the fact the game and the controller just don’t synch up. For example in the Scorpion 2099 stage, you have to rescue a group of scientists in a certain amount of time. Well for some reason, my game stopped accepting the command to jump. Instead when I hit the X button, my character would just do a defensive roll which is L2+X. I tried it with a different controller and the same thing happened. Finally I had to reset the game and it allowed me to jump again. Similar things happened in several different first person boss fights where the game just stopped accepting the “dodge” command, which was moving both joysticks downward at the same time. Now as the past two pages of complaints have shown, the game has a lot of control issues, it is bug ridden, it freezes up and at times it is even nigh unplayable. It’s a badly designed engine that really needed a few more months of getting all the bugs and control issues out before being released to the public. However, because the game is mostly playable, even a decent gamer should be able to beat the game with a little practice, a lot of patient and a lot of profanity regarding aiming issues. 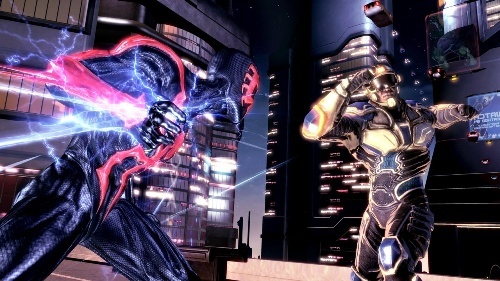 The majority of the gameplay is a cross between a beat ’em up and a platformer with a tasks revolving around beating up enemies, accomplishing tasks in a specific amount of time, or saving civilians. 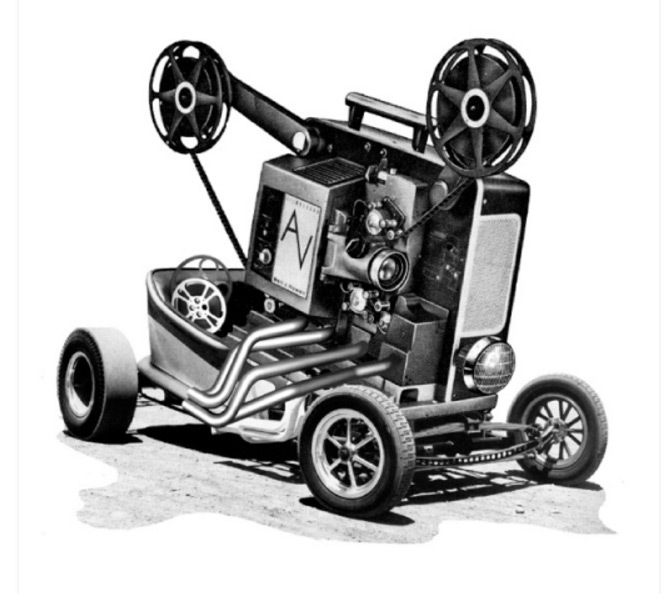 It’s all very cut and dry and even a bit monotonous, but it’s made worse by the controls. 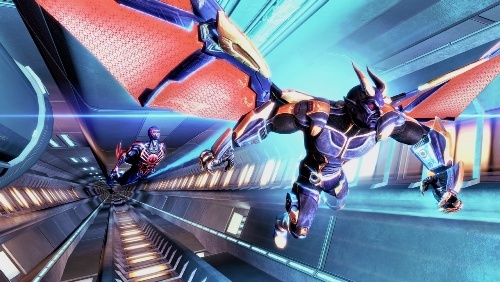 Honestly, I think what I hated most about the game’s crappy engine and glitch issues was that is Beenox had just taken the time to polish things up a bit, this could have been a truly fantastic game. Instead it was one where you can see the potential, but also a desire to ship the game out half-assed. I love the idea of the game, the voice acting in the game, the visual style of the game and the characters involved, but I hated playing this thing as it was an entertaining mess from beginning to end. If you can get past the multitude of control issues and can deal with the game occasionally freezing up on you, you’ll find that Shattered Dimensions offers a lot more replay value than the usual Spider-Man game. Each stage is pretty linear, but you can do any of the stages in each act in whatever order you want. As well, completing certain special requirement known as “The Web Of Destiny” unlocks experience points for you. These experience points or “Spider-Essence” can be traded in for both combat or character upgrades. 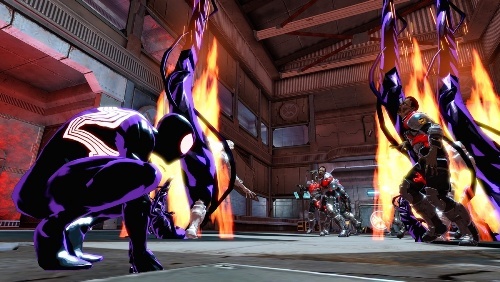 Some of these upgrades are universal such as increases your health level or unlocks special moves that any Spider-Man can use, while others are character specific such as the accelerated vision of Spider-Man 2099, the rage meter of Ultimate Spider-Man, and specific attacks. You won’t be able to unlock all of these powers in your first go around, so you’ll have to play the game several times to complete each web of destiny challenge as well as earn enough points to get all the character and combat upgrades. It’s up to you if you want a new attack, more health, regeneration, or a new skin for your Spider-Man. As you can imagine from my complaints about the glitches and the engine, that Balance isn’t going to do very well here either. The camera in the game is horrible designed and one of the worst I’ve seen this generation. When the camera gets you killed more than the bad guys, you have a poorly balanced game. When aiming doesn’t work at all, you have a poorly balanced game. When someone has designed a controller to have wildly different functions assigned to the same button, you have a poorly balanced game. It’s just a comedy of errors waiting to happen. There isn’t any A.I. to speak of with the computer controlled opponents either. The rank and file minions are mindless button mashing targets and with each level lasting between 30 minutes to one hour in length, fighting the same intellectually challenges opponents again and again that can be felled repeatedly by the same Triangle + Circle based move is again, a horribly unbalanced game. What’s the point in offering dozens of unlockable moves, if all you need are the same two or three that can be gained early on in order to trounce a legion of enemies at once? First person mode just might be the best example of how poorly balanced this game is. Besides the occasional inability of the game to recognize the dodge command, which is vital to surviving this, first person mode serves no real function same for inserting quick time events into a game that doesn’t need them in the first place. It’s always the same exact motion that’s needed, so when the game actually recognizes the command, there’s no challenge, and then when it’s your turn, all you do is mindlessly move the sticks to throw various punches. There is no skill or finesse needed here, and it’s just something useless that drags down the entire experience. It’s like the developers played Rage of the Gladiator and decided they wanted to do something similar. Again, Spider-Man: Shattered Dimensions is a fine game save for the actual playing of it, the AI of the opponents and the engine itself. Like the controls, this game really needed some fine tuning as the camera, the AI, and the gameplay all make for a poorly and wildly unbalanced experience. 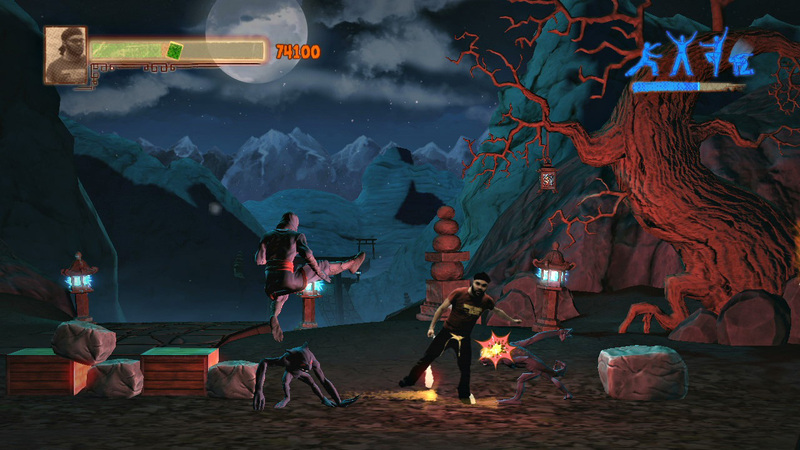 In truth, Shattered Dimension is a generic 3-D action platformer in nearly every way. You have linear levels. You have token collecting. You have the typical boss battles that involved characters doing the same repeated actions while you whittle down their health. You have the same button mashing of enemies. The only thing that makes it stand out is the alternate universe aspect of the game. 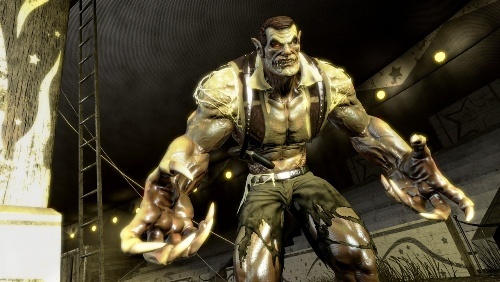 However, the Noir levels are like a third rate Batman: Arkham Asylum right down to the final boss fight against Mysterio being a direct rip-off of the Scarecrow Boss fights from the 2009 GOTY. That’s just sad. The Amazing and Ultimate levels are pretty generic as well. They could be in any other Spider-Man game and you’d never know the difference. Only the 2099 levels have any real spark of originality, which makes me happy as that’s why I got the game in the first place. The freefalling bits are pretty fun, but there’s so little of it, that it hardly counts as something original. That plus the bug during the Mysterio battle kind of puts a damper on things. 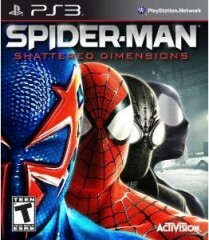 Overall, Shattered Dimension tries to emulate some aspects of better games (and does so poorly compared to the originals), relies on the standard color by numbers format of a lot of other Spider-Man games, and occasionally tries something new like the freefalls bits of 2099, but at the end of the day the only thing that makes this game stand out from previous Spidey titles is that you have four different Spider-Men to play as and customize. It’s funny, but I can spend hours straight playing an RPG without getting bored, but give me an action gave where levels are 45 minutes to an hour and a half long and I am bored out of my wits. It didn’t help that since I was reviewing the game I felt I needed to find all the spider-essence tokens to see if it was possible to unlock everything in the game in a single playthrough, but man was that monotonous. The levels could have been shorter, the game could have allowed you various points to start from so you wouldn’t have to replay a level from the beginning if you missed a Destiny challenge by one second or a single hit. The game is well over a dozen hours to complete, which is really long for this genre of gaming. Factor in the need to restart the game due to the various bugs and freezing issues and you have an experience that feels like it goes on forever. I really had a hard time enjoying this game. God knows I wanted to, but the more I played, the more I found the bugs, control issues, camera angles and glitches unacceptable. All I wanted to do wasget the game over with so I could move on to Brave and the Bold or Atelier Rorona, both of which I’m finding to be better games in nearly every respect. The only reason I kept playing was I liked the voice acting and I enjoyed the story, as flimsy as it was. Most gamers are generally forgiving if they are fans of actions games, even if the games freeze up and crash your PS3. 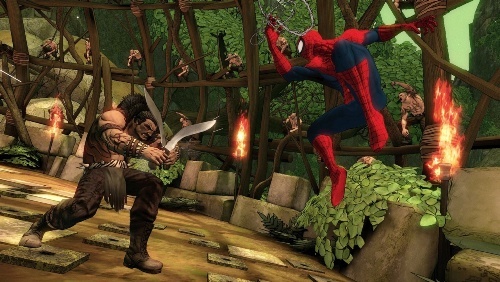 This is doubly so for Spider-Man fans who just want to play as their favourite super hero and pound on some recognizable bad guys. This is neither bad, nor good; it simply is. As a critic I’m far less kind to games like SM:SD that have issues that should have been resolved long before it became commercially available to the public. But being a critic and being a fan are often worlds apart, and in the case of games like this – it should be. If you’re a Spider-Man fan, you’ll have fun with this game. Will it be the best Spider-Man game you’ve ever played? No, not really. Especially if you preferred the more Sandbox-y games. This is fanboy service pure and simple by giving you not one, but four Spider-Men. Hell, I hated the actual playing of the game and yet I’m still giddy to see Miguel O’Hara in a video game where you play as him rather than just put a new skin on Peter Parker. Add in Dan Gilvezan, a cameo by Spider-Girl, an entire level devoted to Deadpool, and TWO cameos of Spider-Ham and Shattered Dimensions and this was exactly the fan service I wanted. If Beenox had just tightened the camera, smoothed out the controls and kept them game in development for another quarter to get rid of all the bugs, this would probably have been my favorite Spider-Man game ever. Instead it’s one that got nearly everything right except the two most important things for a video game to specifically have – the engine and the balance. Yet since I can name so much about the game worthy enjoying, I can honestly say that just because I didn’t enjoy playing it doesn’t mean the majority of diehard Spider-Man fans won’t. Again, I really wanted to like this game. I had high hopes that it would be the Marvel answer to Batman: Arkham Asylum. Instead I got a game I hated to love, or loved to hate. I’m still not sure which. The Spider-Man fan in me loves the fan service while the video game critic of me is astounded that a game that has this many issues made it to retail shelves without being fixed. I’m really hoping that these issues that I encountered are only specific to the PS3 version as some of my friends are telling me, but as that’s the version I’m reviewing here, the score has to reflect the numerous issues plaguing this version of the game. I loved seeing Spider-Man 2099 get his day in the virtual sun, and adored seeing Spider-Ham, but I also can’t stand any game where aiming is 50% chore and 50% luck, or where I have to constantly worry when the game is going to crash next. 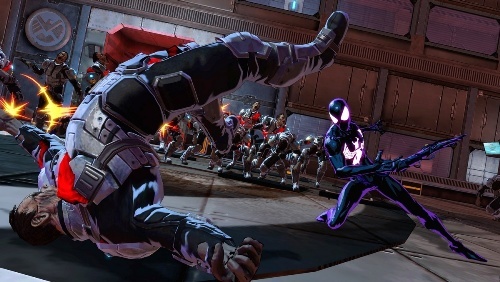 At the end of the day Shattered Dimensions can still be a fun experience in spite of its numerous flaws, so let’s call the game what it is – a decent title. Not a horrible one by any means, not a great one either – simply a niche game that Spider-Man fans will be happy to experience if they have a bit of patience. Spider-Man: Shattered Dimensions is a wonderful piece in regards to fan service. It collects some of the most popular Spider-Man voice actors of all time and also gives you the chance to play as classic alternative universe Spider-Men. Everyone from Madame Web to Spider-Ham appears in the game which is sure to bring a smile to even the most jaded “I hate OMD” Spider-Man fan. However the game fails in two key areas – the actual engine of the game itself and the horrible balance issues brought about by an awful camera, nonexistent AI, severe aiming issues and bugs that can crash the game or render it unplayable. If you’re the forgiving sort or have a great deal of patience, you’ll be able to look past these issues and still finish the game, but as a critic I’m shocked that this game didn’t spend more time being fined tuned, because it desperately needed it. i ve played through it 4 times on the PS3 and the only thing that bothered me was the wall crawling. as for the bugs u mentioned ive only encountered the endless fall and getting stuck in a room once the entire time ive played it, had 0 problems with the final battle and no problem with any of carnages fights. other than wall crawling the control is great just dont constantly button mash. And most of Spideys bugs can be fixed with a patch. That said, I really hope Shattered Dimensions gets a patch. It needs it and it would drastically improve the game. You talk about how often the game crashes, no one else i know who has this has had it freeze up on them so im guessing the copy you played had something wrong with it or ur ps3 is dying. By the sound of your review it seems like youre making excuses because you arent to good at the game or just not paying attention to what your hands are doing. As a Spidey geek this game is awesome, although the free roaming of previous games was cool for a while but got boring going across the city to do a mission, also they were lacking the Spider-Man feel. Now the gamer in me wouldn’t allow me to like this game if it was horrible because no matter what if a game is bad its bad no exceptions i.e. Spider-Man 3. Last thing ANYBODY that reviews an item and is swayed by free junk or exclusives, should be removed from that position permanently! The funny thing is the glitches and crashes are pretty well known at this point. Other reviewers are making mention of them and some are a lot angrier about it than I’ve been. I think it’s more you’re just lucky to only have hit some of the bugs rather than most of them. Alex, don’t worry about booger, every site gets its trolls. Just a little outside support, I got the game on a gold box deal through amazon. 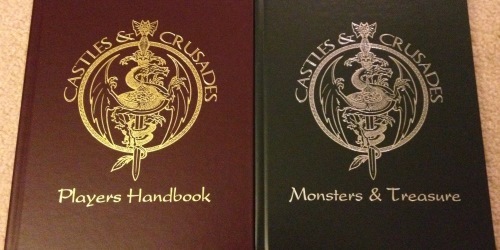 Honestly, I should have been wary when it went gold box within a month of release, but I figured what the hell. GLITCH GLITCH CRASH GLITCH CRASH. This is an artistic and vocal dream of a Spider-Man game, but the camera is absolutely spastic, the controls are poorly managed, and it crashes constantly. I just had a Noir level crash while I was doing nothing more than panning around with the camera. I’m going to shelve this one for a while and see if they patch it. Without a patch, I’m not sure I have the patience to play this through to the end. Mike – I’m totally cool with people who have a different opinion than mine about a game. Reviews are just an opinion after all. Your experiences sound exactly like mine though.I’m sorry you had to go throught he same horrorshow I did. Question for the reviewer. How is a game decent if it has bad controls, overall gameplay, and so many bugs? Even if it has great graphics and a good story, they dont make up for bad gameplay. without gameplay a game is pretty much worthless just something for you to think about in future reviews. its a shame that Beenox picked 2 of the lamest Spidey universes to put in the game though (2099 & Ultimate). Only had it lock up once during the 1st (Wild 9) free fall section, of course it happens on the spider-man i hate more than Ultimate. Kelly – That’s not true at all. Gameplay is only one part of a game. It it still has a good story, excellent graphics, a great soundtrack and more, a cross-section of gamers will STILL be able to play through the game and have fun with it. In this case the good parts of Spider Man: SD are strong enough that most diehard or longtime Spidey fans can overlook the bugs and crashes. The same holds true for fans of any franchise – they seem to be able to overlook the worst parts of a game if the rest of the package is still pretty tight. Also, side note… the bugs weren’t only for the PS3 version. My PC version has probably about 10 bugs/glitches per playthrough, on average. The camera wasn’t nearly as much of a problem for me on the PC, though, since it’s mouse-controlled.